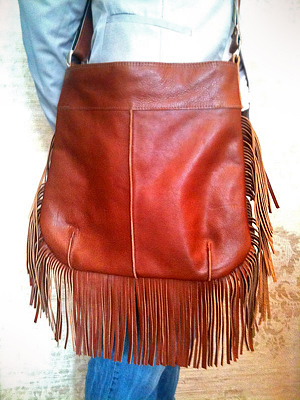 A warm brown bag with fringes, gives you a bohemian look instantly. 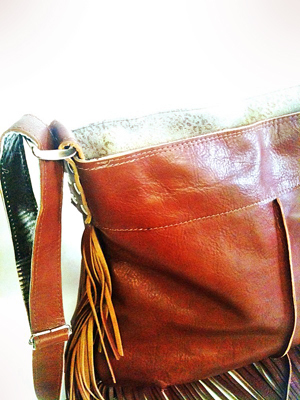 Combined with khaki leather with panther pattern in gold on the inside. Inner pocket and mobile pocket.